This downtown Manhattan hotel overlooks Central Park, and is within walking distance of Fifth Avenue and Rockefeller Center. It features an on-site restaurant, bar and classic rooms with a flat-screen TV. 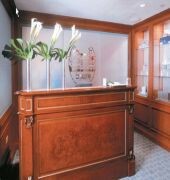 LA Prairie Spa at the Ritz-Carlton New York Central Park offers massage and facial services, as well as a sauna. Guests can also work out in the state-of-the-art fitness center.BLT Market Restaurant features a rotating seasonal menu of American and French specialties. Star Lounge offers nightly cocktails and light fare with a beautiful park view. Free cable and a bathrobe are provided in every room at the New York Central Park Ritz-Carlton. All rooms are elegantly designed with wood furniture and light colours. Many rooms include a city or park view. The 57th street subway station is just 2 blocks away, providing easy access to the city. Radio City Music Hall and the Broadway Theatre District are both within 1 mile from the hotel. 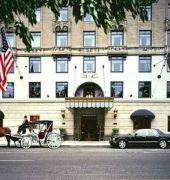 The RITZ CARLTON NEW YORK CENTRAL PARK is a Tourist, Full Service hotel. Located in Business District area. Shopping is within walking distance and the nightlife/restaurants are located in the hotel. Descriptionclass="small" style="text-align: justify; font-size:11px;">This downtown Manhattan hotel overlooks Central Park, and is within walking distance of Fifth Avenue and Rockefeller Center. 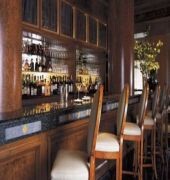 It features an on-site restaurant, bar and classic rooms with a flat-screen TV. LA Prairie Spa at the Ritz-Carlton New York Central Park offers massage and facial services, as well as a sauna. Guests can also work out in the state-of-the-art fitness center.BLT Market Restaurant features a rotating seasonal menu of American and French specialties. Star Lounge offers nightly cocktails and light fare with a beautiful park view. Free cable and a bathrobe are provided in every room at the New York Central Park Ritz-Carlton. All rooms are elegantly designed with wood furniture and light colours. Many rooms include a city or park view. The 57th street subway station is just 2 blocks away, providing easy access to the city. Radio City Music Hall and the Broadway Theatre District are both within 1 mile from the hotel.